With the swaths of comedians who hold down steady jobs working in TV writers' rooms, it's not uncommon for comedy fans to notice a striking discord between a specific comic's brand of humour on stage and the tone of the sitcom they write for. 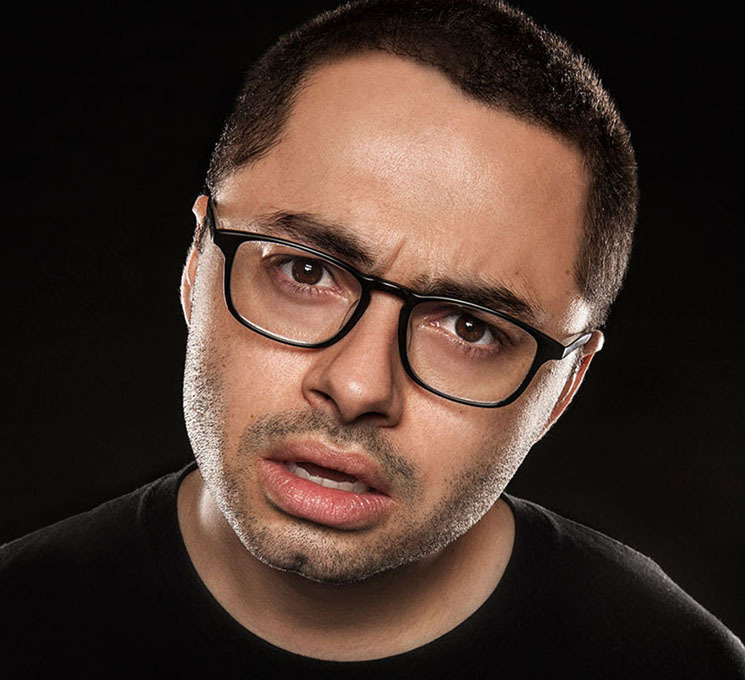 Armed with the knowledge that he writes for one of TV's most narratively intricate, yet joke-driven shows, The Good Place, this was notably not an observation that came to mind during Joe Mande's performance at the Royal Theatre. Engendering goodwill from the crowd early on with a series of clever jokes containing local references, the set got off to a strong start as Mande was ultimately given the green light to launch into the meatier portions of his act quickly without wasting too much time priming the audience for his signature blend of longform bits and winding personal anecdotes. This proved immensely beneficial, as much of his material eschewed the instant gratification offered by formulaic jokes in favour of sustained periods of buildup used strategically to make punch lines hit harder. A good example came midway through his set, when Mande went on a prolonged tangent, pondering what it truly means to "support the troops." Prefacing the bit with "this has never worked before," Mande took the audience on an extended journey as he examined this platitude from every angle, finding minor laughs along the way as he pondered what exactly this call-to-action entails from him, before ultimately tying the entire routine together with a completely unexpected non-sequitur about the NBA that brought the house down. Of course, the risks of this comedic style are intuitive, as there are inevitably going to be instances where the scale of the payoff isn't always proportionate to the length of the journey. Although these moments cropped up just one or two times throughout Mande's set, they were indeed noticeable. One particular anecdote he shared, about scamming pharmaceuticals as a college student, for example, seemed ripe for a high-stakes twist, but ultimately ended anticlimactically, bucking the trend he'd conditioned us to expect. Similarly, his closer of the night, although seemingly a ruse to work in a funny call-back, was another instance where the story in question seemed like it was going to end in dramatic fashion, but simply tapered off unceremoniously. Overall, however, the performance was a rousing success, as Mande's tales satisfied far more frequently than they disappointed, with Mande imbuing these anecdotes with his trademark delivery, entertainingly cynical point of view, and specific reference points, showcasing his singular comedic voice.